Our goal is always to be a trusted resource for you and your team along your development path. That's why we wanted to share answers to a few of our most frequently asked questions. This isn't an exhaustive list. So, if you don't find your question (or answer) here, please feel free to contact us directly. We're always happy to chat. Quick Base is a low / no-code application platform that makes it easier to build and deliver multi-user web apps. 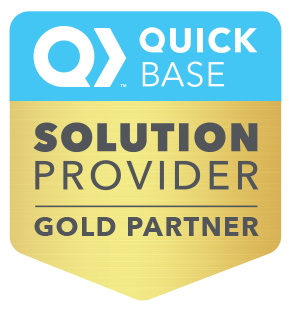 Quick Base is secure and scalable for small business or the enterprise. What is Quick Base used for? Quick Base is an Application Platform as a Service (APaaS). A Web technology, Quick Base allows developers and non-programmers alike to build, secure, and deploy enterprise-grade Web apps quickly and inexpensively. Quick Base is used for any type of application for any type organization. What is a Quick Base developer? A Quick Base developer may be a trained Web application developer or a business person with line-of-business experience. Quick Base is majority owned by venture capital firm Vista Equity Partners (Vista). Does QuickBase integrate with Quickbooks Online? Yes. VeilSun is very experienced in integrating Quick Base and Quickbooks Online applications. What language does Quick Base use? "Most Quick Base development may be accomplished without any coding. However, Quick Base does use a unique Low-Code language which allows developers to add specific functionality natively." How do I improve reporting in Quick Base? Quick Base has improved reporting dramatically during 2018 with KanBan reports, and other improvements. Can I integrate Quick Base with XYZ? Yes. Quick Base has a robust API that allows integration with almost any other application that provides a complementary API. Quick Base also natively integrates with Workato and Zapier Web middle ware. Low-code is a new way of creating scalable Web apps that require little or no coding. Low-code apps are easy to build and cost a fraction of traditional custom Web apps cost to build. How do I get rid of spreadsheets in my business? Quick Base can import spreadsheets in seconds - transforming them into secure, multi-user Web-based applications. What are the best alternatives to spreadsheets? Spreadsheets are a single-user technology and because they can be emailed, they inherently lack security. APaaS (Application Platform as a Service) technologies provide secure multi-user data sharing. Quick Base makes it easy to build rich user dashboards using BI, charts, reports, graphs, and gauges. The Quick Base Low-code platform is easy to use, and costs a fraction of what traditionally-developed Web apps cost. How do I get my business in the cloud? The term "Cloud" means different things to different people. In essence, moving existing systems to the cloud does not move the business to the cloud. However, cloud-enabling data in a secure multi-user environment allows businesses to securely share data. Tools like Quick Base are designed to accomplish just that. How do I secure my Quick Base applications? 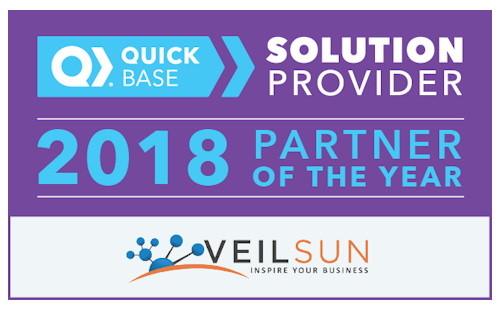 Quick Base provides a multitude of company and application-level security features that make Quick Base apps more secure than traditional Web apps. Let us help you understand Quick Base, extensions, integrations and apps.